 FuturmeDesign was launched in 2007 by Mohammed SENNI a young designer with a passion for Design and an entrepreneurial spirit. It has since grown to provide clients all across the world with high quality graphic and web designs, and continues to evolve in its abilities and services. FuturmeDesign creates compelling, intuitive and beautiful websites that deliver real, measurable results. From product and brand promotion to booking systems, e-commerce solutions and major content management systems, our skillset and experience is extensive. We can deliver just about any type of software that lives in the cloud. Further to that, our smart, agile and robust software development practices ensure we deliver brilliant, robust solutions without the usual eye-watering costs. Make sure to see our portfolio for proof of our awesomeness. Just a huge thanks to FuturmeDesign team for being so helpful in their forums. Five stars for your website. Awesome design and great ideas. Consistent to all of the services that we offer is a commitment to excellence that reflects our team's passion for digital technology. Our awards are testament to our shared mission to deliver world-class digital products.